While some brands overlook Twitter in search of new and novel social media platforms, this is a major mistake. That’s because Twitter remains one of the most-liked social channels with more than 310 million active handles, many for Fortune 500 companies. No wonder countless brands of all sizes invest a great deal of time and money in fine-tuning their Twitter strategies. But five companies stand out from others for the huge following they’ve earned on Twitter by crafting successful social strategies. Skyword.com featured these five Twitter leaders and revealed the secret links to their impressive social success. 1. 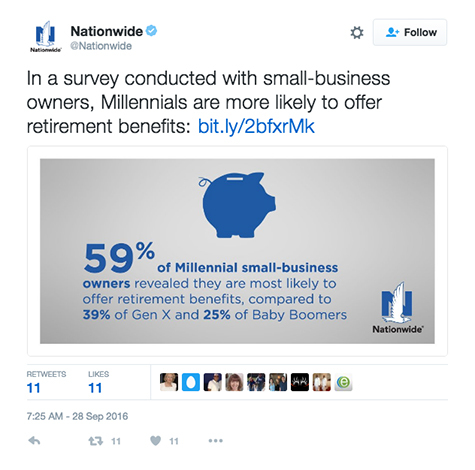 Nationwide Insurance: The insurance company has developed a solid Twitter strategy that focuses on giving consumers additional value. They achieve this by regularly providing useful tips and tactics to help prepare people for unexpected events. This gives added value that keeps them engaged. Along with their consumer audience, the company also has a separate B2B market. It captures this audience’s interest through informative surveys and valuable business insights to help them make informed insurance decisions. And throughout their Twitter feed, Nationwide uses humorous, clever commentary that keeps their posts both appealing and highly sharable. 2. 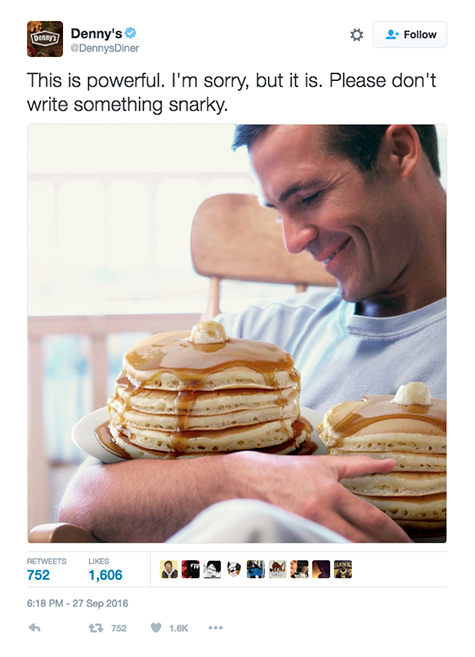 Denny’s: The popular American diner repeatedly posts witty, funny content that relates to the current trends and timely topics. Their content also resonates with followers and leads to lots of engagement and sharing from their fans. This fun, consumer-friendly strategy that highlights their products and benefits is one of the reasons their feed continues to be so successful. The other is their playful, humorous tone that sparks conversations and engagement with both Denny’s fans and other brands. 3. Fast Company: Rather than just posting a few headlines and stories throughout the day on Twitter like most other publishers do, this progressive publication goes to great lengths to implement the tactics of content curation and engagement. First of all, the company includes a witty caption that captures readers’ attention. 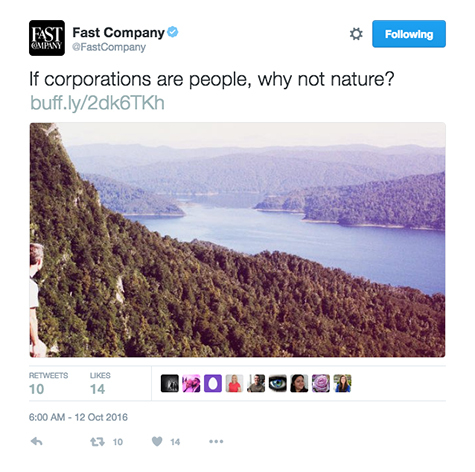 In addition, Fast Company understands how others in the media often retweet Twitter content with their own comments and opinions. This provides Fast Company followers with a nice variety of thoughtful content, instead of a stream of simple headlines. 4. 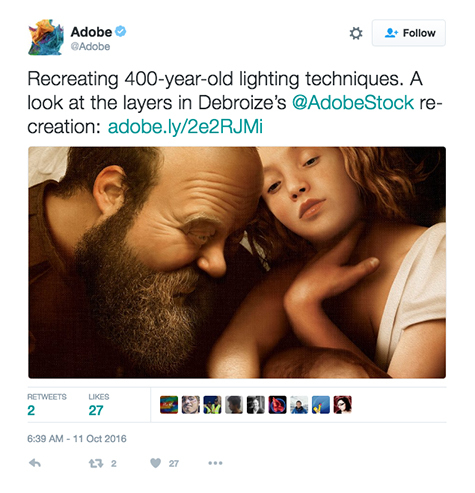 Adobe: The brand knows it has a reputation for being just another dull tech developer, so Adobe’s Twitter strategy acknowledges this and does everything possible to pique the interest of its target market of serious creatives. This Twitter tactic shows that the brand understands its audience and provides them with inspiring visual content and outstanding customer service. They’ve also established a comprehensive social community management plan that allows them to personally address technical questions from users with real-time responses from a well-informed team, and they provide a library of useful help-center articles to assist frustrated followers. Lastly, Adobe has developed a solid social content strategy to give customers a knowledgeable and friendly Twitter experience every time. 5. 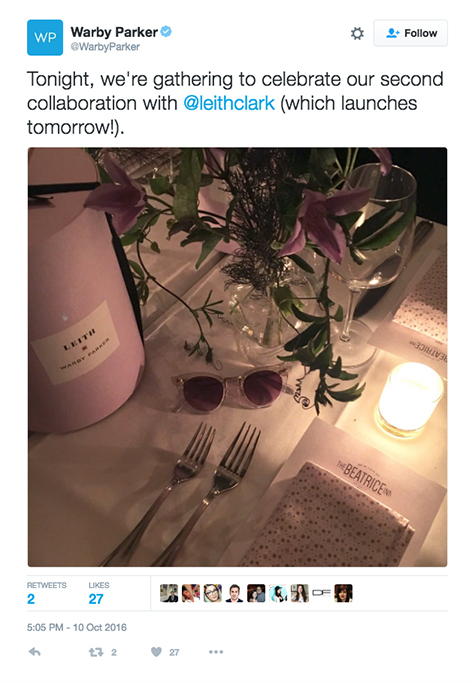 Warby Parker: The eyeglass provider has been able to infuse its reputation for high-quality customer service directly into its social media strategy by engaging with virtually every tweet that it receives. Along with responding to tweets 24 hours a day, the company’s social strategy is able to humanize the brand and help followers relate to its culture by sharing exclusive peeks into its offices, showcasing great staff, and promoting its friendly office events. The factors that all five of these brands share is that they’ve crafted strong Twitter marketing strategies based on the needs of their target audiences and they also take the time and effort to implement them effectively. All of these Twitter tactics are adaptable and adoptable practices that brands should try to follow. 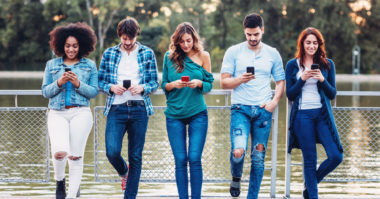 Connect to what’s happening in social media marketing. Contact MDG Advertising.